The New York State Department of Environmental Conservation (DEC) is accepting applications for urban forestry project grants. The deadline is Dec. 5. Communities can apply for tree planting, maintenance grants or invasive pest studies in cases involving an infestation of the emerald ash borer or the Asian long horned beetle. Grants are available to municipalities, public benefit corporations, public authorities, school districts and not-for-profit organizations that have a public ownership interest in the property or are acting on behalf of a public property owner. Awards will range from $2,500 to $50,000, depending on municipal population, and have a 50/50 match requirement. Additionally, tree inventories, management plans and $1,000 Quick Start Arbor Day grants– which have no match requirement– will be available to help communities generate support for new municipal tree programs. The grants are available through the state’s Environmental Protection Fund (EPF) and will be managed and allocated by DEC.
Urban forestry grants complement DEC’s ongoing initiatives to address issues of climate change, environmental degradation, environmental justice, and urban sprawl. Grant proposals should detail the scope of work to be done and how the project will provide environmental, economic, and/or social benefits in the community. When applicants select projects, consideration should be given to underserved neighborhoods, as well as targeting local environmental issues. Applicants are also encouraged to form regional partnerships and submit proposals that help to implement watershed protection and Smart Growth initiatives with green solutions that will have the support of their Regional Economic Development Council. DEC foresters are available to provide applicants with technical assistance. DEC staff will review the completed grant applications and select recipients based on established rating criteria, including cost-effectiveness, projected benefits, use of recommended standards in implementation, community outreach, education, support and regional economic impact. Applicants may obtain all necessary directions and forms for the Urban Forestry Grant program on the DEC website. Paper copies of the application must be submitted. Applications will be accepted at the DEC Central Office by mail or hand delivery until 4 p.m. Dec. 5, 2013. Mail or hand deliver grant applications to: NYS Department of Environmental Conservation Urban Forestry, Division of Lands and Forests, 625 Broadway, Albany, NY 12233-4253. For more information, call DEC at (518) 402-9425. 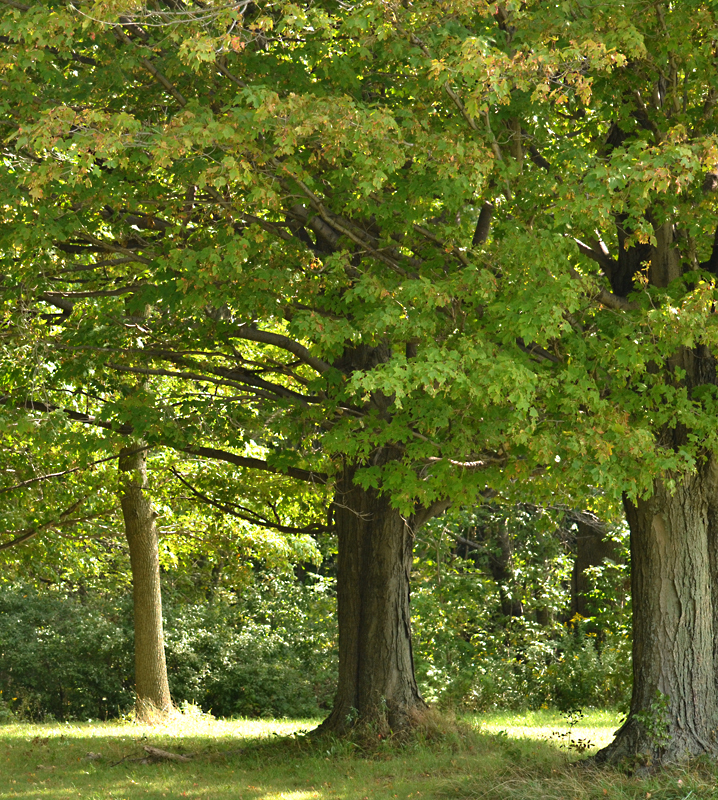 Trees, parks, and other green space found in cities and high-population areas are important to the fabric of the community by supporting wildlife habitat, helping to protect against storm damage from hurricanes or floods, alleviating high local temperatures caused by the “heat island effect,” reducing energy use and stormwater run-off and minimizing noise. I realize that not every gardener needs to know about grants for large tree projects, but I think there may be a few who are on school boards or municipal committees and might find it helpful. I’ll continue to trying to keep people informed about opportunities like this. Thanks for writing!